San Jose's mayor is digging into San Jose's future traffic troubles. Damian Trujillo reports. San Jose's mayor is digging into San Jose's future traffic troubles. Mayor Sam Liccardo says he wants to bore a tunnel to connect the Mineta San Jose International Airport to a future transit hub at Diridon Station, and he believes that an underground tunnel like the one Tesla CEO Elon Musk proposed for Los Angeles could be what the South Bay needs, the Mercury News first reported. 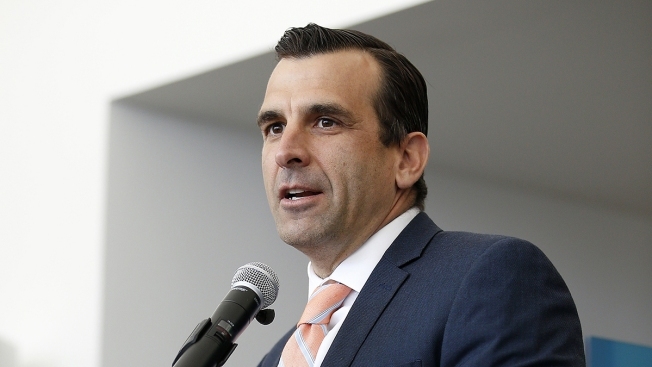 Liccardo said Tuesday that he has been in contact with Musk's Boring Company about the city's goal to transform Dirion into a grand central station that's capable of supporting the fast growing number of workers. "Let's take advantage of emerging technologies, particularly in tunneling, and finally connect our airport to the rest of the transit system," Liccardo said. The mayor says the tunnel would be two miles long between SJC and Diridon, but the idea is in its early stage. "I think that would be a great idea. Cut the traffic," commuter Florentino Silva told NBC Bay Area. Musk unveiled the prototype for his underground transportation tunnel last year in LA. The tunnel is just a test to prove the technology works and could one day cure traffic. It came almost two years to the day since Musk announced on Twitter that "traffic is driving me nuts" and he was "going to build a tunnel boring machine and just start digging." "It doesn’t necessarily put rail in the tunnel. But it puts moving cars in the tunnel at much lower costs," Liccardo said.